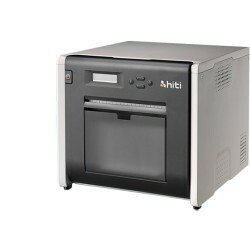 In order to bring customers product varieties with our strong capabilities of dye diffusion thermal transfer technology, HiTi has realigned its product strategy by utilizing capacity and print speed as references and divides HiTi photo printers into 1/3/5/7 series to provide the best ideal solution for everyone. 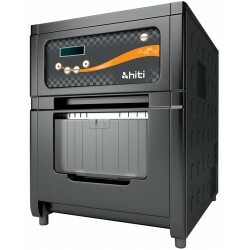 Furthermore, HiTi continues to focus on its core competence in the field of dye-sublimation-based photo and security card products along with the launch of newer, more advanced and comprehensive hard copy formats systems as well as soft copy photo viewing devices, including various advanced digital photo viewing, storing and sharing devices and technologies to provide customers with the best digital photo printing solutions and enjoyments. HiTi specializes in digital color reproduction and print quality, and its digital dye-sublimation photo printers have been awarded with 8 DIMA Digital Photo Printer Shoot-Out awards during PMA (Photo Marketing Association), one of the largest international trade fair of the photo industry. On the other hand, HiTi also offers professional image software designed for passport / ID photo format, creating various print applications and enjoyment. HiTi is formed by a group of elites in the R&D, manufacturing, marketing and management field to form a capable and innovative team of more than 800 people worldwide. HiTi has its headquarters and R&D center established in Taiwan and its manufacturing and global logistic facilities set up in Suzhou, China respectively. In order to succeed in today’s global market place, HiTi has had its strategic international subsidiaries and branch offices set up in North America, Western Europe, Middle East, India and Latin America. We are proud to mention that “HiTi Digital, Inc." has been a new force in the global digital photo market. To maintain its leadership position and to meet ever changing customer needs, the HiTi Digital Inc. strives to utilize its R&D expertise and capability and to manage product portfolio based on the market response and feedbacks. 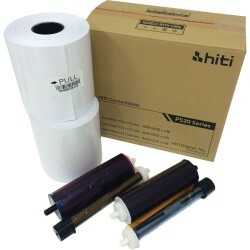 HiTi Digital Inc. clearly depicts its thriving spirit and sky-limited potential to lead in the global digital photo printing industry, offering more advanced, competitive features and valuable services that no one else can match. 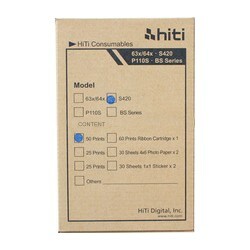 HiTi 4" x 6" Ribbon & Paper Case is designed to work perfectly with HiTi Photo Printer P520 Series. 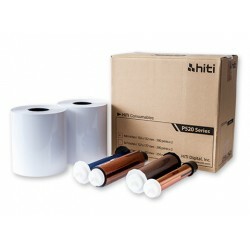 This case includes 2 rolls of paper and 2 rolls of ribbon, 500 prints per roll and total 1000 prints per case. Dye sub consumables can create 16.7m true colors. No smudging and blotching in the course of printing. 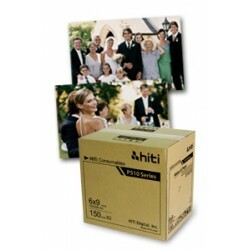 HiTi P520L print kit, 6x8 at 250 prints per roll, 2 rolls in each box, total 500 prints. 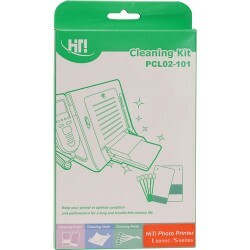 HiTi P720L 4" x 6" Ribbon & Paper Case is designed to work perfectly with HiTi Photo Printer P720L. 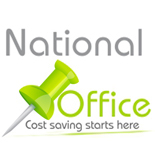 This case includes 2 rolls of paper and 2 rolls of ribbon, 1000 prints per roll and total 2000 prints per case. 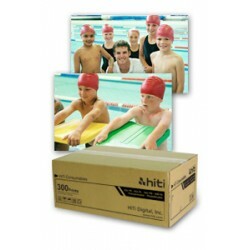 HiTi P720L 6" x 9" Ribbon & Paper Case is designed to work perfectly with HiTi Photo Printer P720L. This case includes 2 rolls of paper and 2 rolls of ribbon, 455 prints per roll and total 910 prints per case.